Preparation is the key to a successful start back to school or move to a new educational setting for our young people on the autistic spectrum. 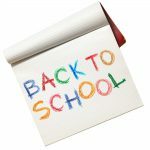 Most of us can recall the tummy tingling anticipation of a return to school as shopping for a new pencil case, shoes, and a haircut signal the end of the long summer holidays and the start of a new academic year ahead. But for anyone with an ASC (Autistic Spectrum Condition), first day nerves can build into overwhelming anxiety that threatens to spoil the successful start everyone hopes for. So, what can we do to help? Anxiety, as autism expert Dr. Tony Attwood expresses it, is all about the ‘what ifs?’ Worrying about what might happen and cannot predict. Planning, preparation and the use of visual images can all help map the road ahead and reduce anxiety. Here are some tried and tested strategies to help achieve a happy return to school. Mark the return to school date on a calendar in the couple of weeks run up to the start date. Cross off the days as the start date approaches. · What does school/ college look like? Now is the time to look through any transition pack containing photos of the buildings, classrooms and teaching staff your child or young person will encounter. If you didn’t get any visuals then check out the school or college website together. · How will you get to school? Revisit the school run as a reminder or have a practice if it is a new setting. If your child will be travelling independently for the first time then check out bus or rail timetables, try the journey together, then let them try with a friend who will be using the same route. Check they know what to do if things don’t run to plan e.g. if a train is late or cancelled and make sure they know when they should ask for help and who they can turn to e.g. a ticket inspector or information desk. Make sure they travel with a charged mobile phone with emergency contact numbers in it and consider the option of carrying an Autism Alert card containing family and emergency contact numbers. physical routines makes it easier to cope with any additional emotional stress at the prospect of going back to school. · What did you do in the holidays? It’s the usual question in the first few days of the new academic year but our young people on the spectrum may struggle to join in the conversation. Help them with a practice chat about their ‘best bits’ of the holidays and have a scrap book or photos they can show and share. Get to know the names of teachers, the SEN Co-ordinator, form tutor and any other key contacts at your child’s school and find out how best to work together to ensure good clear lines of communication eg Home/ School diary or e mail? Share books or provide written material relating to special interests if the reading habit has been replaced by screen time over the holidays. Write down a few holiday memories in diaries or letters to get fine motor skills working again. · Keep calm and Carry on! Few of us can hit all the goals on our tick list all of the time and life has a way of scuppering our best laid plans. When the inevitable hiccups happen try and stay calm, allow enough time to get things done as well as possible, pick your battles and if you have a bad day remember – this too will pass. Recognise and celebrate both big milestones and baby steps towards achieving goals and share your experiences with other parents, friends and support networks.